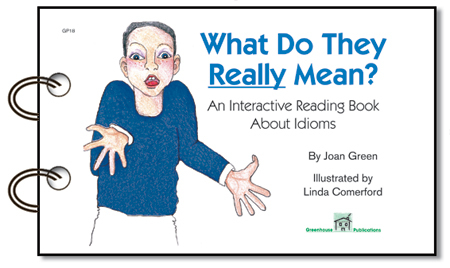 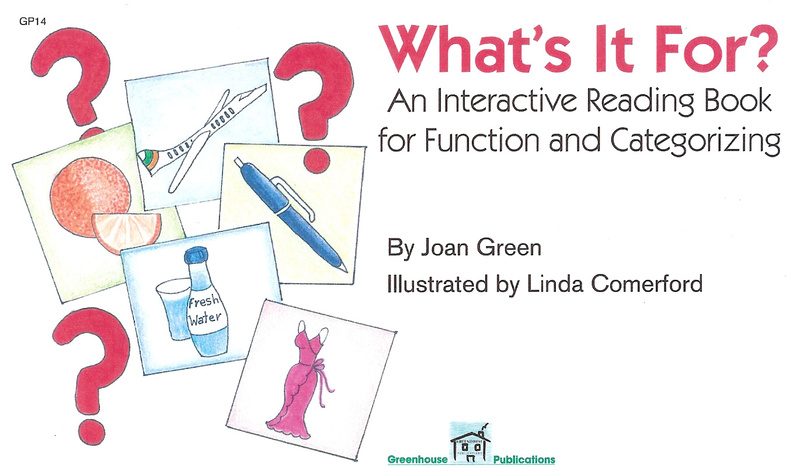 WHAT ARE INTERACTIVE READING BOOKS? 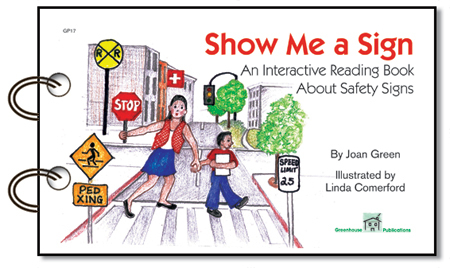 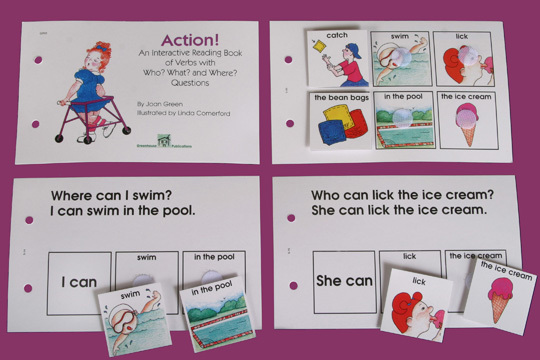 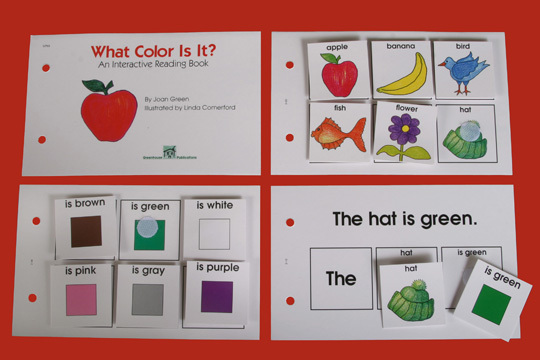 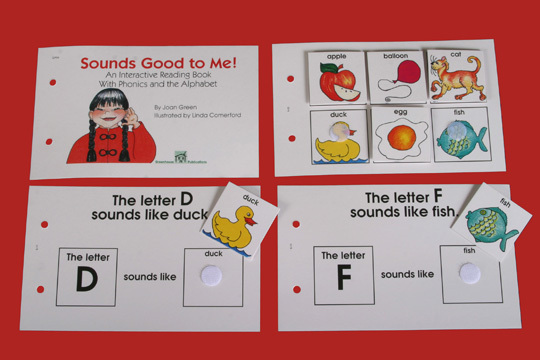 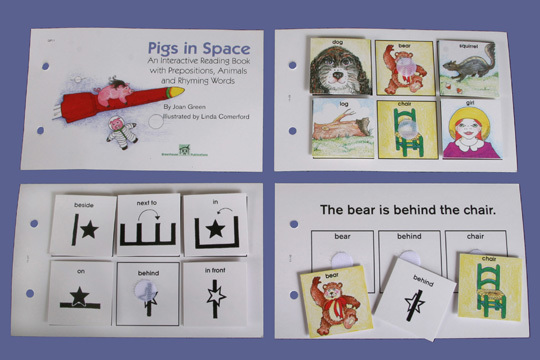 These interactive books for children utilise the power of visual strategies so beginning readers can learn to associate pictures with words. 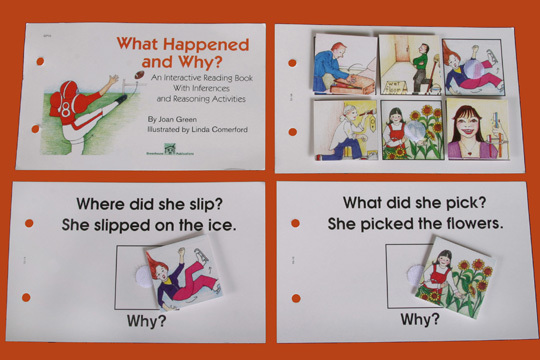 Students move and attach picture cards with velcros to match, identify, label, sequence and create sentences while learning to read! 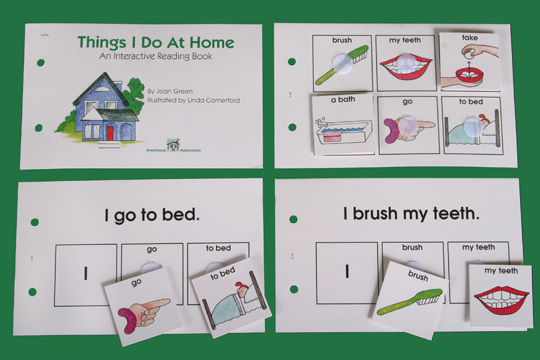 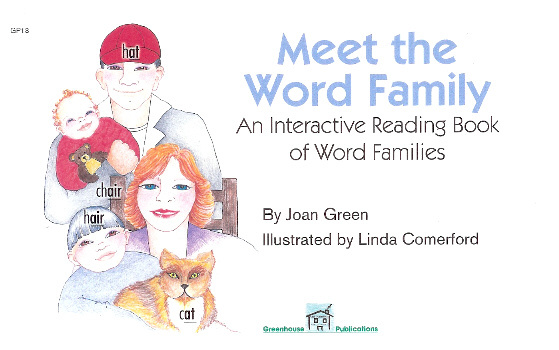 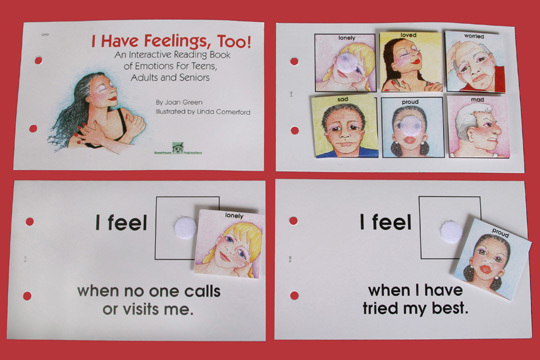 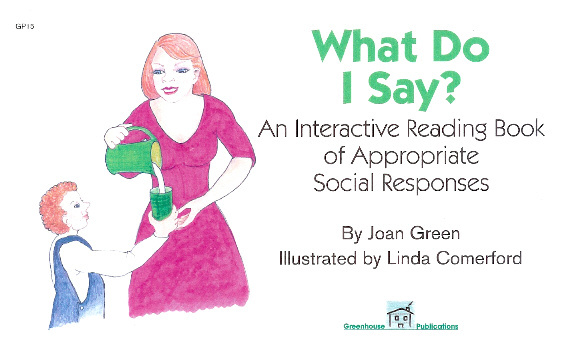 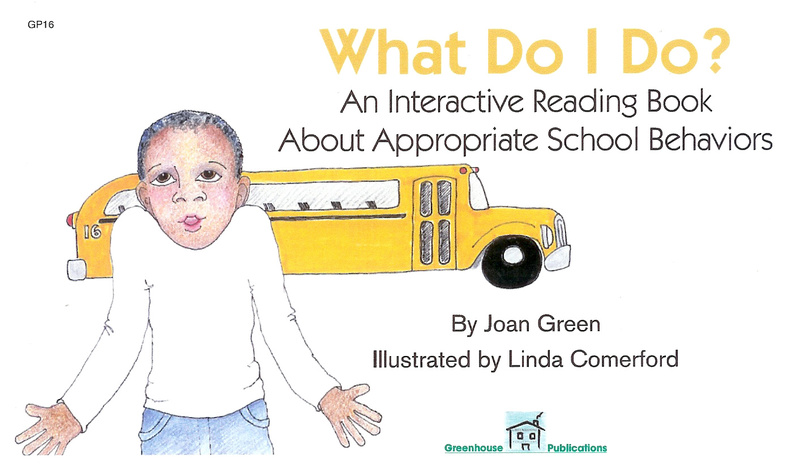 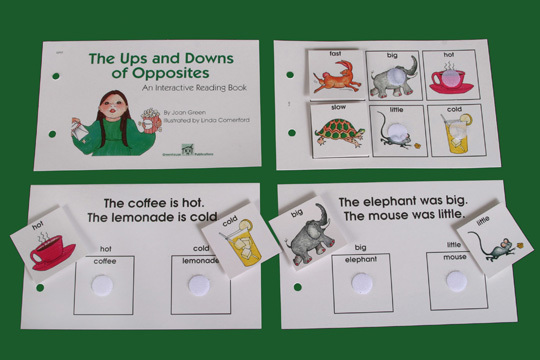 These kids interactive books are fun and rewarding for children with and without special needs. 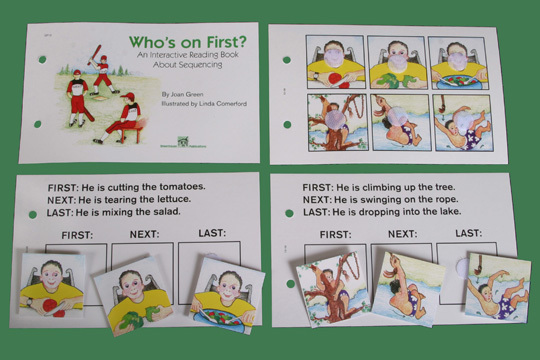 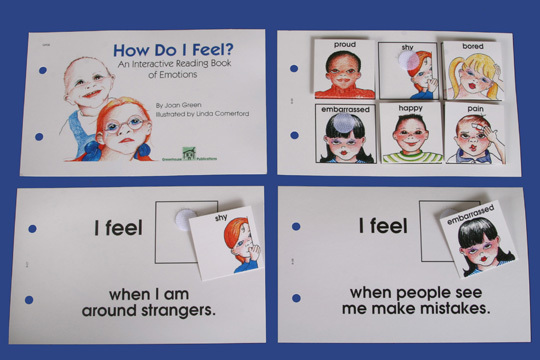 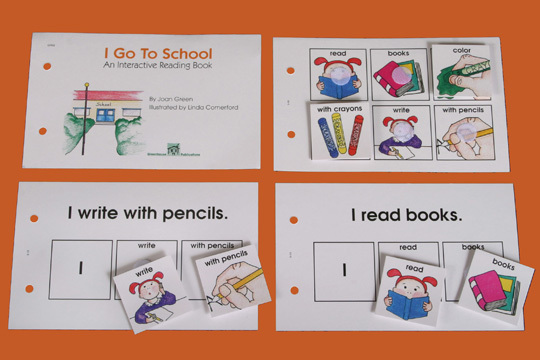 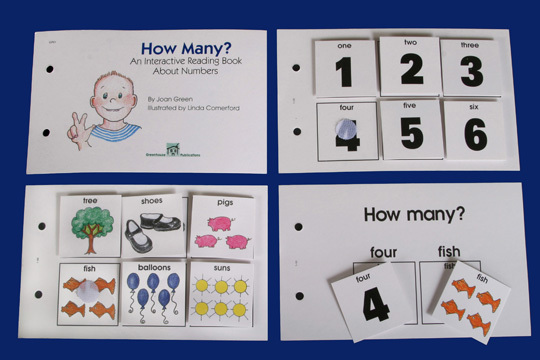 Each book has laminated pages and interesting picture cards, and your child or pupil will love it! 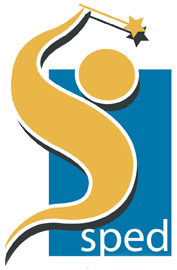 Erin Blake, Crystal Lake, Ill.